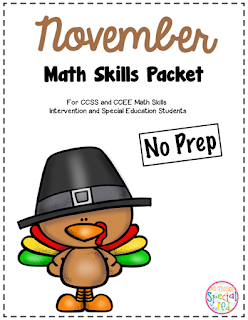 November - what are you teaching? - All Things Special Ed. November - what are you teaching? I love November! 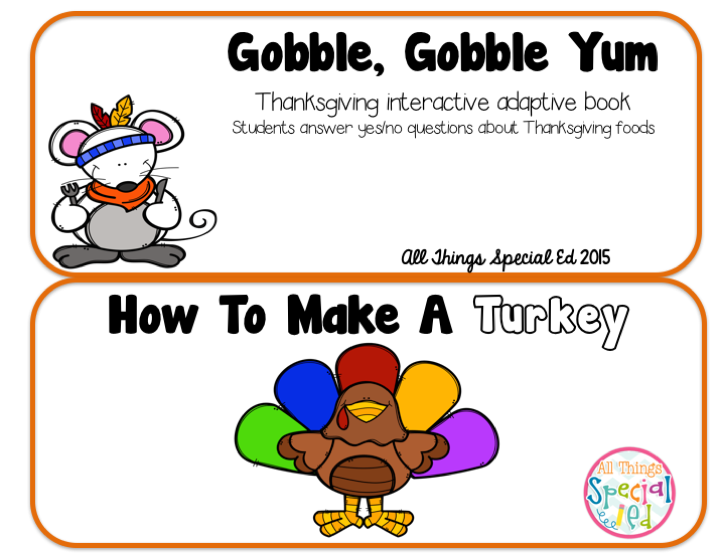 The fall weather is here, we are into the swing of school and of course THANKSGIVING!! 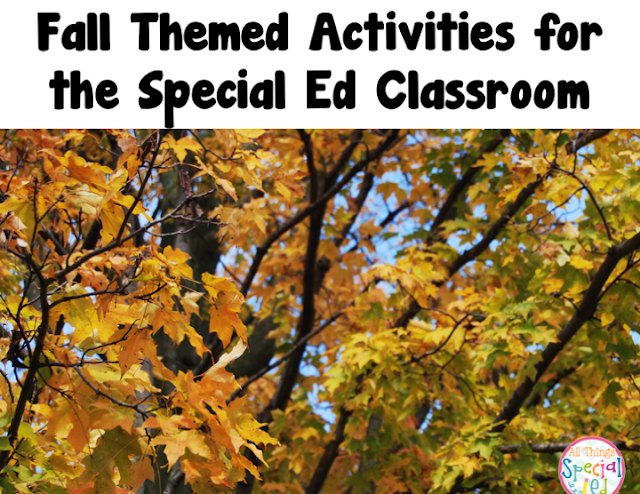 If you are looking for some November activiites, check out some of my products in my TPT store, All Things Special Ed. 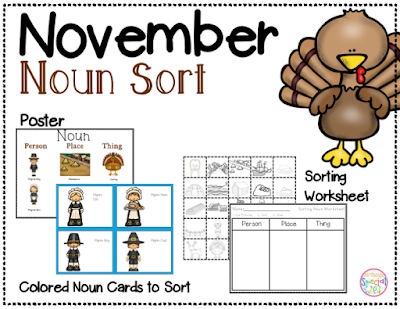 I have some monthly nouns sort sets that I love using with my students. 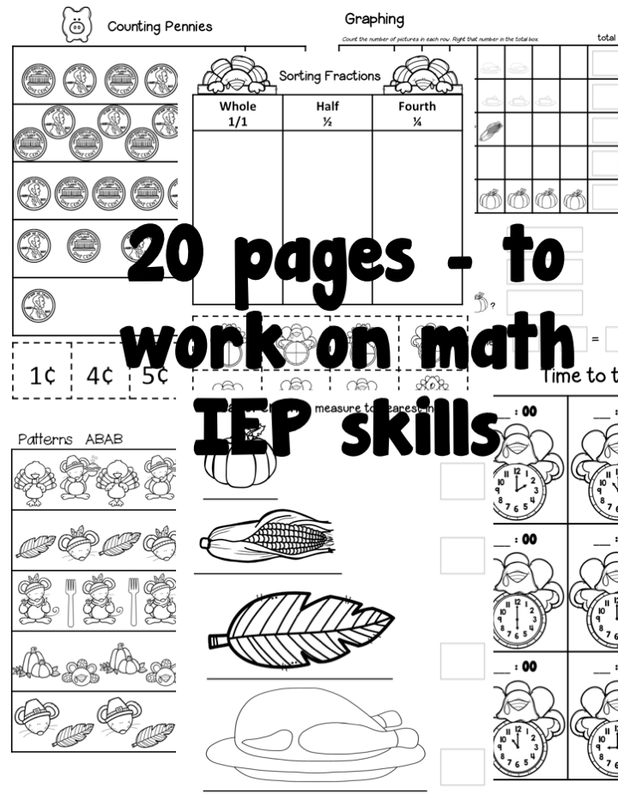 A great way to mix in large/small group and individual work. 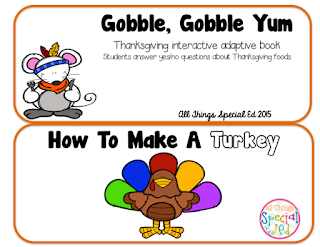 "Gobble" is a fun sight word game that uses Fountas and Pinnell's high frequency word lists for students to have a fun and engaging way to practice reading their words. I love reading and it is exceptionally important to include students with severe disabilities in learning reading skills. These are great for the emerging reader. 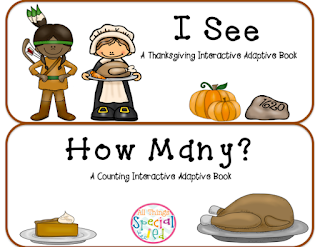 You can find fun November themed/Thanksgiving themed interactive/adaptive books! 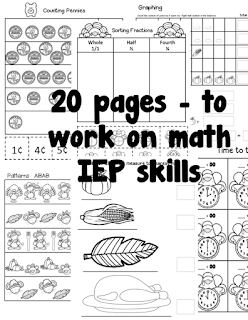 Again, a great way to work on emerging literacy skills with your students. 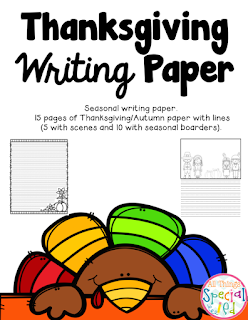 Writing- Fun themed November writing paper to use in centers, mini-lessons, create a fun story, or write down November words. - Thanksgiving Would You Rather? Make sure to click on the links under the pictures if you would like to look at the product in my store. Have a fantastic Thanksgiving and November. 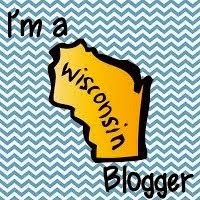 Feel free to leave a comment or suggestion on a product. I love to hear feedback!